We are counting down the hours before we say goodbye to 2013 and greet 2014 with energy and excitement. Before we do, here are just a few highlights from 2013. Once again, we were honored to be the recipients of a grant from the eBay Foundation Corporate Advised Fund at Silicon Valley Community Foundation. 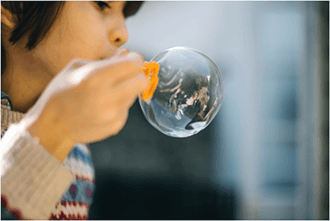 The grant pays for the Sensory Tool Packs program, which provides each child with a kit of specially selected items that can help provide a safe way to cope with stress and anxiety. A lot of love went into each basket that Elayne and her daughter, Daphne, made for each child at The Settlement Home. The baskets were delivered just in time for Valentine’s Day! 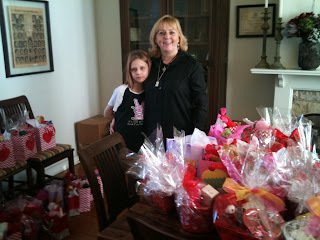 This was the second year that the mother and daughter team generously donated Valentine’s baskets. Elayne and Daphne deliver Valentine’s Day treats. 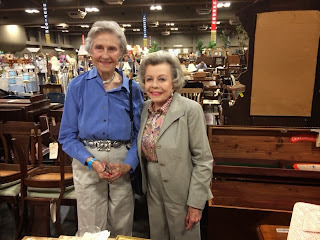 Our girls were thrilled to head out to the Austin Rodeo in March. Bucky Lamb, CEO of The Star of Texas Fair and Rodeo Austin, board members and directors kindly donated tickets for our girls and staff to attend the rodeo. Jeff Denton, Director of the Rodeo Austin BBQ Committee, invited us to the BBQ Cook Off for great Texas BBQ and live music. We are grateful to Brad Boyett and David Hill for making it all happen! 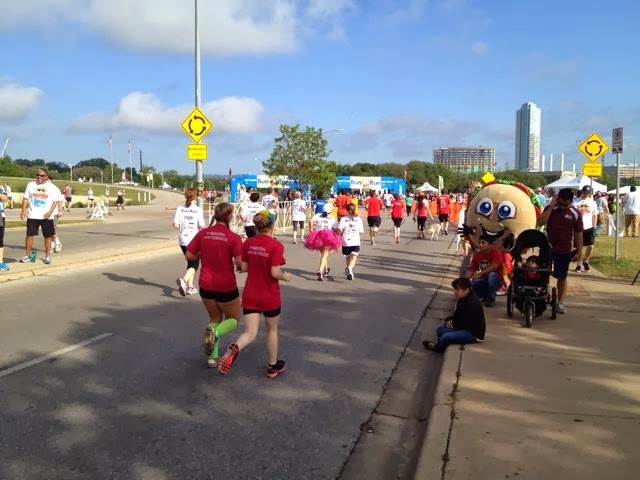 Our Run Club hit the streets of downtown Austin for the Bun Run 5K. Staff members paired up with our girls for the race. Everyone had a blast joining in on this fun Austin tradition. Our Run Club meets weekly to train for 5K races in the community. Running, jogging and walking are great ways to stay fit, relieve stress and bond with others. Run Club members near the finish at the Bun Run 5K. We always recognize May as National Foster Care Month. This year, President Obama issued a Presidential Proclamation in honor of National Foster Care Month. President Obama said that children are our future and they need love and support. We agree! The 2013 Games Day was a huge success! Games Day included everything from a dunking booth to hamburgers from P. Terry’s! Our girls participated in a cupcake walk, bingo, relay races and more. Games Day has been a Settlement Home tradition for many years and has become the way we kick off the summer! Relay races are just one of the many games at Games Day! Our wonderful friends at Avenue 5 Salon brought the spa experience to us! The event was a day of pampering for our girls, as well as a fundraiser for The Home. Williamson Campus turned into a spa for the day. Summer is always a fun time at The Home. 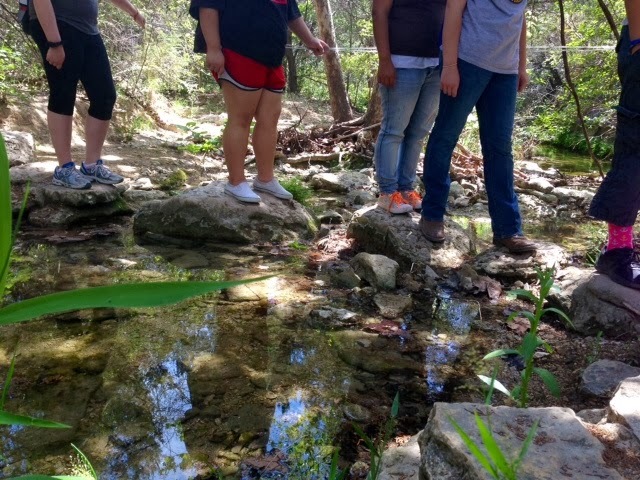 Since school is out, our girls spent their time exploring Central Texas through field trips and summer camps. In addition, we welcomed caring and enthusiastic volunteers to our campus to teach fun summer classes for the girls, such as cooking and crafts. Our girls and staff enjoy a hike. After 32 years, The Settlement Home’s Executive Director, Linda Kokemor, retired. Linda made a tremendous impact on The Home and the children who have lived here. Darcie DeShazo, who has a 13 year history with The Settlement Home, was announced as the new Executive Director. 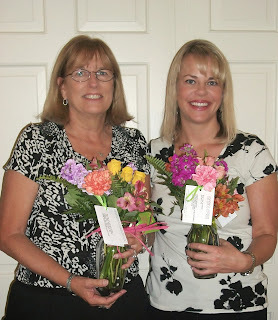 Linda Kokemor and Darcie DeShazo both share a love for The Home. The 38th Annual Settlement Home Charity Garage Sale Preview Party was held on October 30. The Preview Party officially started the Garage Sale. We were thrilled to have our first Preview Party sponsor, Ann S. Butler. Mary Lib Thornhill and Ann S. Butler at the Preview Party. Thanks to the hard work of many dedicated people, the 2013 Charity Garage Sale set a new record for the amount raised – $637,500! We couldn’t have done it without the many great people who donated items for the sale and those who came out to shop. Shoppers enter the Garage Sale. Anna Faye Peterson is proof that every person can make a difference, no matter what their age. At 101 years old, Ms. Peterson gets crafty by making decorated gift bags. 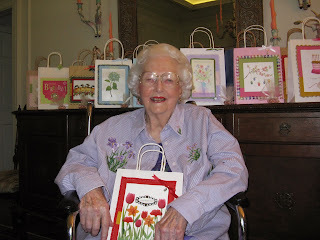 She uses old greeting cards to embellish the plain bags. The result is a special, custom gift bag that is sure to put a smile on anyone’s face. She donates the bags to our Charity Garage Sale – Holiday department. 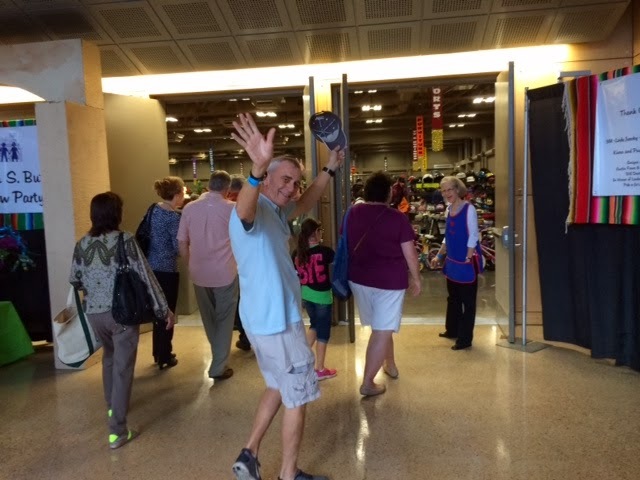 They are always a hit with shoppers! Ms. Peterson’s generous donation helps us meet our goal of raising money. Anna Faye Peterson poses with one of her masterpieces. A heartfelt thank you to everyone who was a part of these and other 2013 experiences!